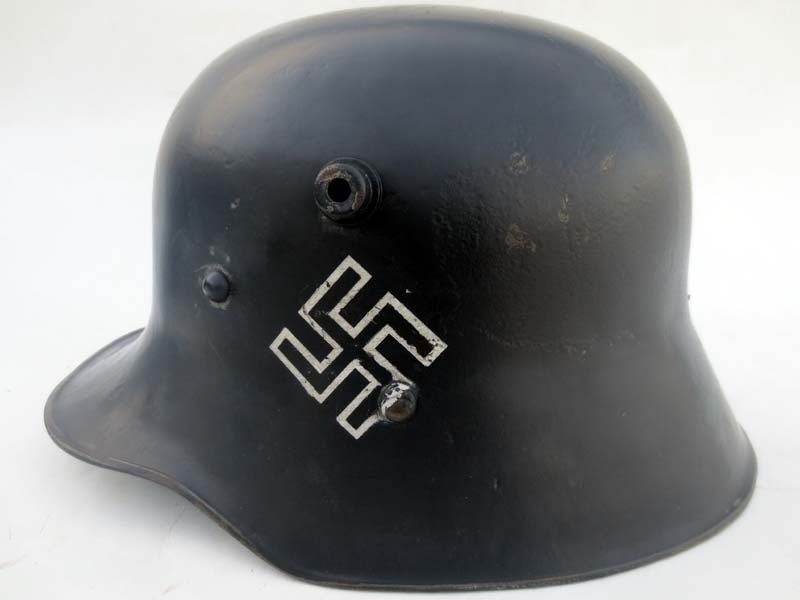 This M17 Austrian helmet is AW64 marked indicating it was made by Western Cilli, some time between 1917 and 1918. This helmet’s restoration was inspired by helmets worn by SS-VT units for parade and guard duty between 1934 and 1935. The helmet was stripped of the post-war paint then repainted the correct shade of Austrian clay brown. The inside of the helmet’s dome retains it’s original factory paint and was left as it was found. 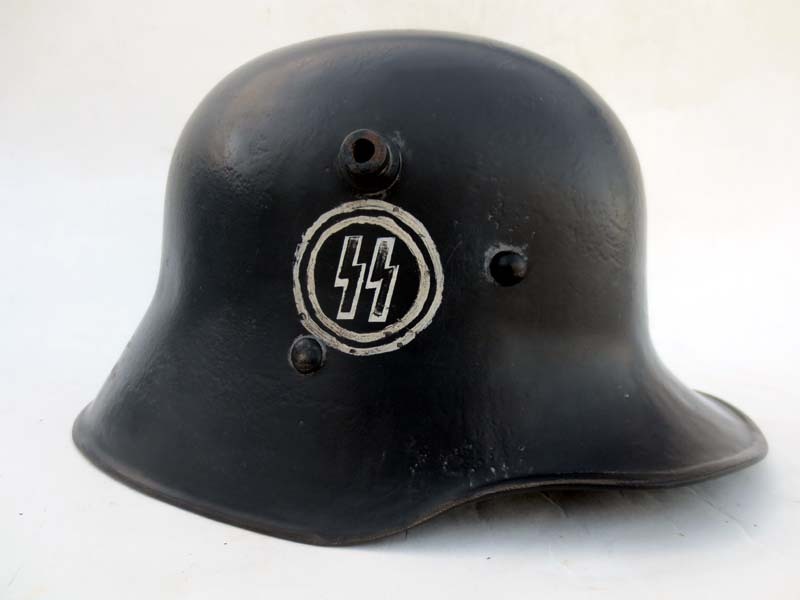 Many SS-VT parade helmet’s of the era, were acquired from Austria, and Czechoslovakia, others were procured from WWI and Reichsheer surplus. These helmets were simply over sprayed with a coat of satin black paint by SS depots right over the original paint. The same thing was done on this project. 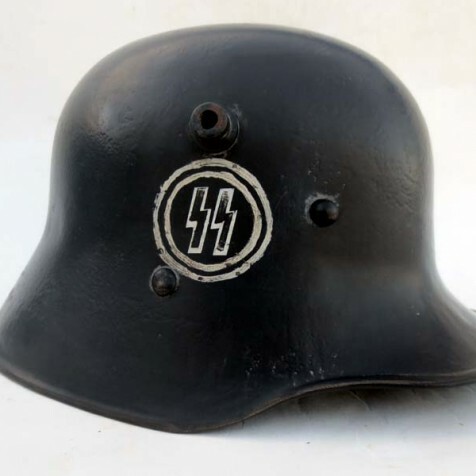 As with most surviving original SS-VT parade helmet’s the insignia were hand rendered. The helmet has been fit with a WWI surplus three pad liner, the pads and pillows have ersatz cloth. The cloth is vintage and dates to the 1920s. The steel M17 liner band is original and matched to the helmet. 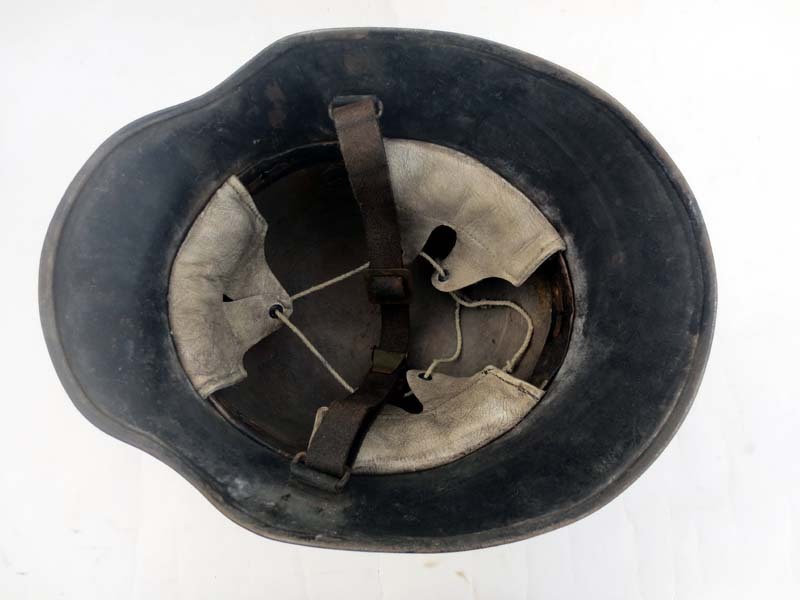 The liner has been secured into the helmet with dommed 1920s era repro split pins. The chinstrap has steel Berndorfer hardware and is a replica of one of the versions known to have been used by the SS-VT. The helmet has been aged to have the look and feel of an original.